Despite the risks, many people still purchase fireworks for their personal use. Some employees may bring fireworks to their workplace, and they may even attempt to ignite them at the worksite. In addition, some employers may consider hav­ing fireworks displays at office picnics, holiday celebrations, or other work-related activities. Other employers are in the pyro­technics or fireworks industry or engaged in retail sales of fire­works. With the prevalence of fireworks this time of year, wise employers will familiarize themselves with the relevant laws and regulations. Although this article isn’t intended to be an exhaustive discussion of the applicable laws, rules, and regula­tions, it is intended to provide a primer on some of the laws you should be aware of so you don’t get burned. Some employees may attempt to bring fireworks to the workplace or store them on-site. There is an inherent danger in allowing fireworks at work, particularly if the work involves processes that require flames, flammable materials, or equipment or machines that could ignite the fireworks. It’s an employer’s responsibility to ensure the safety of its employees. The Occupational Safety and Health Act (OSH Act) requires employers to provide a safe workplace for employees, customers, and the general public. You are responsible for protecting workers from serious injuries or death. A safe and healthful workplace includes the prevention of fire, explosions, toxic fumes, and damage to equipment, all of which can be caused by fireworks. Probably the best way to avoid the risks associated with fireworks is to prohibit employees from bringing them to work or igniting them in the workplace—even during breaks. You have the right to ban fireworks and other incendiary devices from your workplace. At the very least, you may want to require that such items be stored in a safe area far away from open flames, desig­nated smoking areas, or other places in the workplace that could cause them to ignite. Fireworks policies should be clearly set forth in employee handbooks or other training materials. Further, employees should be trained on the rules for fireworks at your workplace. If you don’t maintain a safe workplace, employees have the right to report unsafe working conditions, and they enjoy whistleblower protections under the OSH Act if they report safety and health violations. Moreover, you can be liable for retaliation if you take adverse employ­ment actions against employees for reporting dangerous conditions associated with fireworks on the premises. In any event, you should be familiar with the state law requirements related to the discharge of fireworks. State-approved explosives and fireworks may be ignited only from July 1 through July 7 and July 21 through July 27 between the hours of 11:00 a.m. and 11:00 p.m. (except on July 4 and July 24, when they may be ignited until midnight). Further, certain fireworks are prohibited in Utah. In particular, Roman candles, bottle rockets, firecrackers, self-propelled missiles, M-80s, cherry bombs, rockets on a wire, various salutes, and aerial fireworks containing more than 500 grams of pyrotechnic material are pro­hibited. Because many, if not all, of those fireworks may be sold in adjacent states, you should be on the lookout for illegal fireworks on your premises. Employers frequently host summer parties and other activities that may coincide with the July holidays. Celebrating holidays is a wonderful way to develop a unified team and motivate employees. Sometimes, you might consider including fireworks or other pyrotech­nic devices in the festivities. However, it’s generally not a good idea to host such displays. There’s significant risk of injuring employees or passersby or causing a fire that results in property damage. Often, fireworks displays are prohibited by the company’s insurance policies anyway. If you do decide to use pyrotechnics or fireworks at a holiday party, it would probably be considered a pub­lic fireworks display. In that case, you should hire only qualified, licensed, and trained personnel to set off the display. The requirements for such personnel are dis­cussed in the next section. It is illegal for any person or entity to purchase, pos­sess, or discharge class C dangerous explosives unless he is a licensed display or special effects operator. Thus, class C explosives and fireworks would be strictly off-limits for company parties unless they’re conducted by the proper personnel. Failure to comply with the appli­cable laws can result in penalties and fines. 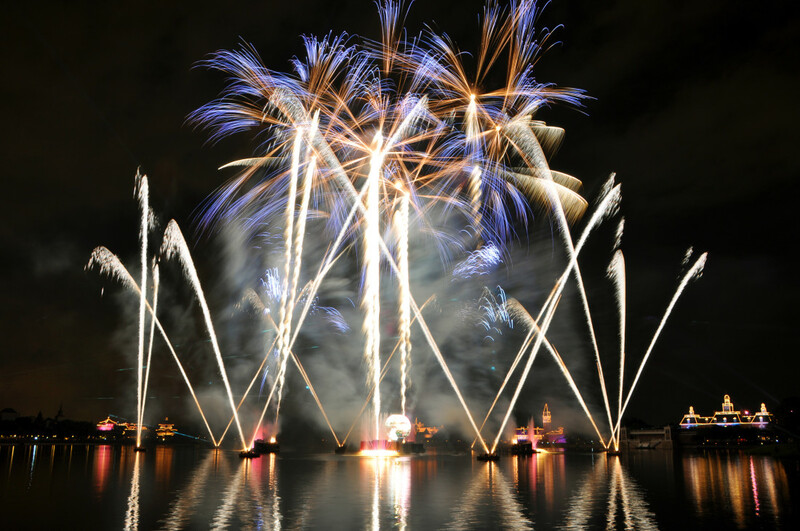 Some employers are in the business of designing and developing fireworks, putting together fireworks displays, or operating within some other aspect of the pyrotechnics industry. The risk of injury from fireworks to employees who work at such a business or prepare fireworks displays can be significant. The Occupational Safety and Health Administration (OSHA) stresses that employers should protect their workers from hazards associated with manufacturing, storing, transporting, displaying, and selling fireworks. Obtain required licenses, permits, and inspections. Ensure employees working with pyrotechnics wear protective gear and proper clothing. Prohibit accidental ignition sources (e.g., cigarettes, matches, and lighters). Properly install mortar boxes, racks, and drums. Employees who work with fireworks and pyrotech­nics must have the proper permits and licenses. Gener­ally, that will include a pyrotechnician license, a hazmat endorsement, and (in some cases) a commercial driver’s license. In Utah, display operators, special effects opera­tors, flame effects operators, and flame effects perform­ing artists all must have specific licenses. Typically, an applicant for such a license must pass a written exami­nation with a score of at least 70 percent, show that he has completed a safety class applicable to the specific job or demonstrate his experience, and submit proof that he has previously worked with someone who holds the li­cense. Many of the required licenses are issued by the state fire marshal. Before hosting a fireworks display, you should be fa­miliar with the local laws and restrictions on fireworks use. In Utah, permits are required to conduct public dis­plays. Most municipalities, counties, and other local gov­ernments place restrictions on the time, place, and condi­tions of fireworks displays. Some local governments have imposed outright bans on igniting fireworks within their geographic limits or in portions of the area. Most locali­ties prohibit igniting fireworks in parks or other common public areas. There are also restrictions on lighting fire­works near fireworks stands and at sales locations. Finally, it should be obvious that fireworks and al­cohol do not mix. An employer should never allow em­ployees to consume alcohol while conducting fireworks displays. There are a host of rules and regulations in Utah directed at stands, tents, trucks, and stores that engage in the sale of fireworks. The rules and regulations are aimed at ensuring fire prevention and safety of the workers and the general public. As you can imagine, with all the gunpowder and other explosive materials in fireworks, one little spark could ignite an entire stand. As a result, Utah has placed restrictions on who can sell fireworks at retail locations. times unless suitable locking devices or secured metal storage containers are provided to prevent unauthorized access to the merchandise. In some cases, an employee must remain on-site overnight or at other times when the location isn’t open for business if the tent or stand cannot be adequately secured. If a municipality or county in which fireworks are offered for sale requires a seller to obtain a license, it must be at the store or stand, available for presentation to authorized public safety officials upon request. Each employee must be familiar with the license and pre­pared to show it. Although it may seem obvious, employees are not permitted to take smoke breaks near a fireworks retail location. Each municipality or other locality may have different regulations addressing how far way from the fireworks smokers must remain. Further, each location must prominently display “No Smoking” signage. Employees must be trained on the rules and regula­tions related to the retail sales of fireworks. Sales of aerial displays are subject to additional requirements that em­ployees must understand. Designated employees must be able to provide constant visual supervision by direct line of sight, and aerial displays cannot be more than 25 feet from the designated employee’s workstation. Keep exits clear and accessible. Maintain a view of the fireworks. Know fire extinguisher locations and operations. Remove and dispose of damaged fireworks. Remove loose pyrotechnic powder promptly. Use only nonsparking tools (and avoid the use of vacuum cleaners). Prohibit smoking within 50 feet of the sales area. “Safety” is the key word associated with fireworks. Because fireworks are inherently dangerous and must be handled with care, there are many laws that govern their sale, distribution, manufacture, use, storage, and display. In light of employers’ duty to maintain employee safety, fireworks and the workplace generally don’t mix. At the very least, you need to know the legal requirements gov­erning fireworks at the workplace. Further, you should es­tablish clear policies addressing their use and storage. En­suring compliance with such policies will help you keep employees safe—and prevent you from getting burned.